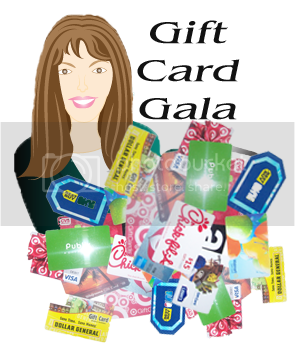 Welcome to the 3rd Gift Card Gala sponsored by Debbie Does Coupons and 27 other great bloggers, bringing you a chance to win an assortment of Gift Cards! Each blogger is offering a Store or Restaurant Gift Card with a value of at least $10 ! Some may be more. If you are a winner, you will be emailed by the owner of the blog that you won on and asked for your mailing address. You will have 48 hours to respond, so make sure to give an email address that you check daily. Simply click to "like" each of the Facebook pages on the Rafflecopter and then click the green "I did this" button. There will be one winner per blog. All winners will be picked by December 18th. Winners will be contacted via email within 24 hours by the blog owners where they won. The winner has 48 hours to contact the blogger back with your mailing address. You can only enter on one blog. Thanks for the giveaway. Gift cards will come in handy for those lucky winners. What an awesome giveaway! I could really use the extra help this holiday season. Thank you! it is mandatory to like all the facebook pages but Couponsforfriends says This page can't be seen by the current user. Please check page privacy and visibility settings. this usually means they have their pricaxy setting on facebook set to US only, i tried from her blog but it still dosent work? Can't wait to see who wins! What an amazing giveaway!! I could use any one of these!! Thanks for the chance to win such a wonderful giveaway!!! Stocking stuffers for the whole family! This is very generous thank you. This is an awesome giveaway~! Appreciate it! This is such a great giveaway! Thank you for the chance to win! Hope I win! This is an awesome prize! Thanks so much!